Born in New York State with diverse roots from his Jamaican grandmother (Blue Mtns.) and Geechi father (James Island, North Carolina), Ras Jammie (aka James Rouse Jr.) eventually migrated from the northeast to Berkeley, California and later Tucson, Arizona where he owned and ran Rouse Your Spirits Recording Studio. A reggae entertainer for over 30 years, Ras Jammie now calls Oregon his home. Like jazz legends Charlie Rouse (his uncle) and distant cousin Thelonius Monk, Ras Jammie has created his own brand of reggae. In between the island jazz sounds of Third World and the in-your-face lyrics of Peter Tosh, with further influences from U-Roy and Jacob “Killer” Miller, the Ras Jammie sound has been called “homegrown American reggae” by longtime Beat Magazine music reviewer Chuck Foster. 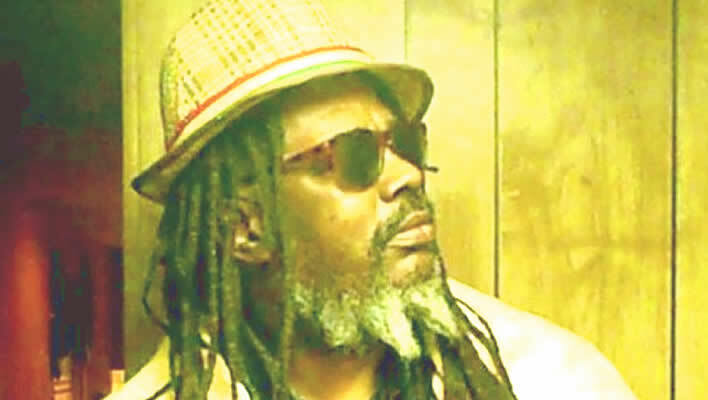 With worldwide airplay and several full-length reggae and dub releases, Ras Jammie is played from the former Soviet Union to Australia, Asia, Europe and the U.S. and Canada His song “Sometimey People” is on Vol. 1 of the UK Reggae Radio Compilation. Reggae hits include “Mr. Collie Man’ and “Bump The Time”. A new dub and reggae release are both in production. Ras Jammie and his band, The Spiff Tones, play continually throughout the Northwest. Seamlessly blending reggae, Jamaican ska, various island beats and dancehall, he keeps the crowds dancing all night. With jammin’ rhythms, soulful harmonies and powerful lyrics, Ras Jammie is a distinctive voice in reggae music. Check him live online at YouTube, Facebook, Twitter, Soundcloud, Myspace, CDBaby. Contacts: Booking — RasJammie@gmail.com / Purchase songs — RouseYourSpirits@aol.com.